January 15, 16 & 17, 1959. 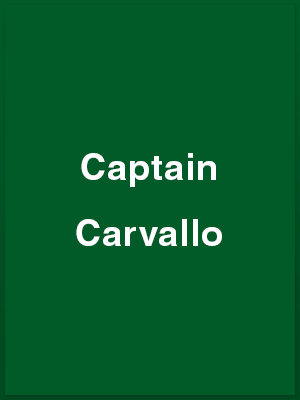 THE Young Wick Players are in good form with their production of Captain Carvallo, by Denis Cannan, at the Barn Theatre, Southwick, this week-end. This is no easy meat for an amateur company, but they come through with flying colours, and producer Bess Blagden can take her full share of the honours. Set in a farmhouse on disputed territory during a long civil war in a European country, the play provides opportunities for comedy in unlikely circumstances. It affords some some fine chances for character study and the cast rise admirably to the occasion. The costumes and scenery are outstanding. Jean Porter, playing Smilja Darde, wife of the farmer, Caspar, brings realism to her rôle and throughout maintains a worthy standard of acting. In the title rôle is Patrick Johnson, who does good work as the young Army officer who believes in mixing business with pleasure. There is a droll study of Caspar Darde by Ralph Dawes, and Brian Moulton, as the Baron, the resistance leader, also acts creditably. Clodagh O’Farrell, as the pert and provocative Anni, pleases throughout, and Ross Workman contributes an amusing study as Private Gross. Making his first stage appearance, and doing remarkably well, is Nicholas Sweet, son of Southwick’s only woman councillor, Mrs I. J. Sweet. He has the taxing rôle of Professor Winks. The third and final performance is to-night. Publication Data: January 23 1959 issue – page 5. Two outstanding achievements marked the production of Captain presented by the Wick Players last week at the Barn Theatre, Southwick. One was the cleverly contrived set with sloping ceiling, giving an atmosphere of intense reality to the farmhouse kitchen set ‘somewhere in disputed territory’. The other was the strength of attack on this extremely difficult play – an attack which, despite its pace being so well maintained throughout, still allowed the actors to exploit to the full the sensitive yet mature interpretation of the characterisation. As the young officer of the title rôle, Patrick Johnson, displayed excellent timing in his portrayal of the captain who finds life in the Army not without its attractions. He maintained a high standard of acting throughout the play. The honour shared by Jean Porter who, as the farmer’s wife, Smilja Darde, gave a performance of touching sincerity yet with a charm and refreshing gaiety in her repartee. Ralph Dawes as the farmer, Gaspar Darde, added a restrained and diverting touch to his interpretation of the somewhat imaginative and sanctimonious husband. Ross Workman as Private Gross batman to the Captain added a great deal of fun whenever his duties brought him on the stage. Acting honours should also go to Nicholas Sweet as Professor Winke. In a difficult rôle, even for the actor of experience, his performance carried conviction, with the unexpected touches of humour adroitly handled – yet this was Mr. Sweet’s first stage appearance. He is to be congratulated on his success in a long and arduous part. Clodagh O’Farrell as Anni and Brian Moulton as the Baron added respectively the necessary touches to pertness and conspiracy. Lighting, costumes and properties were all admirable, and Bess Blagden, the producer, and her talented cast can congratulate themselves on a difficult task well executed. PLAYERS and audience alike enjoyed themselves at the Barn Theatre, Southwick, last week, when the Young Wick Players presented Captain Carvallo by Denis Cannan. The play has humour, satire and an underlying seriousness, and if The Young Wick Players did not quite get the satire across they certainly gave a very good performance. The scene is a farmhouse in disputed territory. Here Smilja Darde awaits the return of her husband, a partisan, from a secret mission. Instead there arrives a stranger, Professor Winke, wearing her husband’s clothes. He explains that they had to exchange identities to outwit the enemy. Hard on his heels come Captain Carvallo and Private Gross of the enemy forces, demanding billets, and soon afterwards Darde himself returns. Captain Carvallo and Private Gross have a weakness for the ladies, and it is a case of ‘all’s fair in love and war’, with a sweet, brief love affair between Smilja and Carvallo to an accompaniment and gunfire ‘off’. Jean Porter was a charming and sensitive Smilja and Patrick Johnson gave a good, strong performance as Captain Carvallo, Brian Moulton played the Baron with effect: his first scene was the best. Nicholas Sweet had the right manner for Professor Winke, but could have used more force and variety at times. Ralph Dawes had at times exactly the right sanctimonious style for Caspar Dar; if he could have sustained it it would have been a very good performance. Ross Workman was excellent as the typical private soldier and Clodagh O’Farrell though not quite pert enough, was nice little maid. The play was well produced by Bess Blagden with good pace and the set was excellent.